A 19-year-old undergraduate of Babcock University, Ilishan-Remo, Ogun State, Verishima Unokyur, has committed suicide in his parent’s home in Mafoluku, in the Oshodi area of Lagos State. PUNCH Metro learnt on Thursday that the 200-level Social Work student had on Tuesday sent a text message to his best friend, welcoming him into the New Year. “See you in heaven,” he reportedly said at the end of the message. Our correspondent learnt that the Benue State indigene committed suicide between that time and Wednesday when his corpse was discovered, by hanging himself with his tie. His immediate younger brother, Asor, was reportedly asleep at the time. Asor said their mother was also away, adding that his brother never showed any sign that he would commit suicide. In spite of the cloud of doubts surrounding its operations in Nigeria, the promoters of Mavrodi Moneybox Mundial (MMM), a Ponzi scheme that promises 30% interest on seed funds say the scheme would resume on January 14 as promised. “Everyone expecting to see a stronger and more sustainable community from 14th January,” MMM Nigeria tweeted on Wednesday. Vice President Yemi Osinbajo on Thursday enjoined faith-based organisations in the country to shun rumours that the administration of President Muhammadu Buhari was moving to Islamise Nigeria. He told religious leaders after receiving the Lifetime Achievement Award of the Student Christian Movement of Nigeria (SCM) in his office, that they should dwell on facts. Recall that before the election in 2015, Prof. Osinbajo spoke out that the All Progressives Congress (APC) was not secretly plotting to Islamise Nigeria if it won the election. Operatives of the Nigeria Police Force were said to have raided the house of Dame Patience Jonathan, the wife of former President Goodluck Jonathan, in Abuja on Wednesday, with the aim of uncovering huge foreign currencies allegedly kept in the building, The PUNCH learnt on Thursday. Multiple sources familiar with the investigation confided in one of our correspondents on Thursday that the security personnel raided the house on a tip-off that huge amount, allegedly believed to be stolen government money, was kept in the building located at Igbeti Rock, Maitama, Abuja. The operation, which was carried out by operatives of the Special Investigation Panel, headed by a retired Assistant Inspector-General of Police, Ali Amodu, acted at the behest of the Federal Government Asset Recovery and Forfeiture Committee. 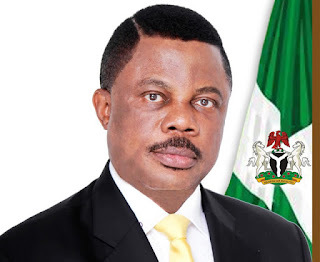 The fight over who will mount the traditional stool of Nanka community of Orumba North local government area of Anambra has torn the community apart, leaving indigenes of the community in factions. This is following the transition of the previous monarch of the community, His Royal Highness, Igwe Gilbert Oformata. It was gathered that since the demise of the late monarch early last year, the community has been enmeshed in turmoil with some sections of the community jostling to produce his successor. The recent insistence of Nanka Progressive Union(NPU), a voluntary group said to be championed by three indigenes of the community who have constituted themselves into the kingmakers of the community to crown a new king has however further plunged the community into crises. Our correspondent gathered that the group led by Chiefs Polycarp Emenike, Ebele Nwosu, Peter Chinedu who are also joined by Chief Okwudili Ezenwankwo have however elected Chief Godwin Ezeilo as the Eze elect of the town, and also waiting to crown him. Igbos urged to partner with Buhari to develop the south east. Members representing Anambra East and West in the Federal House of Representatives, Tony Nwoye says people of the south eastern Nigeria should abstain from the idea of playing politics with sentiment. Nwoye said this at the 25 Anniversary of Awka Ambassador Silver Jubilee fiesta in Awka, he advised Igbo team up with the present administrations zeal to excel in the discharge of their duties to the people of the zone. Billionaire and Chairman. Ifeanyi Uba Football Club, Dr. Patrick Ifeanyi Uba has defected to the All Progressive Congress APC. This was revealed by the Secretary of APC in Anambra state, Chukwuma Agufogo, in a telephone chat with our Anambra state correspondent Bamidele Ajayi, disclosed that the billionaire was quoted to have said ' having searched all the political parties manifesto and programmes of President Muhammadu Buhari as the leader of the party , APC provides greater opportunity for Ndigbo and Nigerians at large'. Nigerian minister of Labour and Empowerments, Senator Chris Ngige has charged Nigerians to support the President Muhammadu Buhari led government to tackle economic recession in the bid to come out stronger . He said the situation could have been worse if measure are not taken to stem the tide, assured that the present administration has all what it takes to rescue the country from the current economic downturn. The All Progressives Congress (APC) in Anambra says it has not anointed any candidate for the governorship election billed to hold in the state in November 2017. The state Chairman of APC, Mr Emeka Ibe, told newsmen on Tuesday on the side line of a stakeholders’ meeting of the party executive with governorship aspirants under the platform. Ibe, who assured all the governorship aspirants of a level playing ground during the political party primaries, said APC was committed to transparency and fairness. The National Auditor of the All Progressive Congress, George Muoghalu has urged Ndigbo home and abroad to see the party as an umbrella where interest of all Nigerians are protected. He said Ndigbo should ensure they join their hands with President Muhammadu Buhari to take what is rightful belong to the people of the zone in the nation political equation. This was the position maintained by the national auditor of the APC, George Muoghalu at a media. interactive chat at his country home in Nnewi, said Igbo should stand to join the party to partake in the national equation. Despite the renewed calls to reposition the eroding value of Awka, the capital city of Anambra state to its glory days as one of the historic cities of Igbo land, stakeholders have charged Awka sons and daughters to take the lead to enable settlers take a cue from their already mapped out plans christened to re-capture the eroding dignity of the ancient city. They are encouraged to fashion out plans that would dowsed the lingering leadership disputes and prove to the world that the state capital city has all it takes to take its right of place in the committee of state in Nigeria. Delivering a lecture to herald the 25 anniversary of an Awka socio-cultural group in Awka, a keynote speaker, Professor Sunny Nwakwo, charged them among other tasks with the responsibilities to train and re-train as well as provide sound education for the less privileged children in the society to measure up with their contemporaries in other part of the world. PRINCE ENGR ARTHUR EZE DONATES SEVERAL MILLIONS TO THE CHURCH. Parishioners of St Simon’s Parish Ukpo, were left in total disbelief and shock on New Year, as Rev Fr. Barr Obiora Okeke, the chaplain of Association of Persons Living with Sickle Cell Disorder, made shocking revelations of the travails of people living with sickle cell disorder. The Igbo socio-cultural group “Alaigbo Development Foundation” has charged Ndigbo to cultivate the ideology of “Think Home Philosophy” as a veritable strategy that would be employed to develop the south eastern part of Nigeria faster. It urged its members to consider the idea of investing in their homeland, with the hope of creating more jobs for the people, improving their well being which would in turn would provide modern ascetics in Igboland. This was the resolution reached by the group at an international colloquium held in Awka with the theme: ‘The Restoration and Development of Igboland, the Rebirth and Advancement of the spirit of her culture and civilization’, an avenue created to reach out to Ndigbo on the need to make Igboland proud among other comity of states in Nigeria. The modern day pastor, Reverend Sam Ugo, the General Overseer of Freedom City Ministry which situates at No. 77 Ezeiweka Road, Awada layout Obosi, Idemili North Local Government Area, Anambra State will likely be arraigned in court next week for allegedly duplicating suspected master key he is said to have used in stealing various costly cars in Awada and its environs. The aspiration of Enginner Bart Nwibe has naturally featured in certain circles and a number of discussions on social media, and in a rendezvous with friends; a friend or two would naturally bring his name to the fore of our discussions on the forthcoming guber election in Anambra State. Nwibe’s putative campaign or ambition to be the 6th democratically elected governor of the state was something that naturally aroused interest from discussants. After all this is a good man trying to swim in the murky waters of politic. Questions naturally arose from this panel of pepper soup analysts; Such as whether he was largely prepared for the task and if he had the magic wand to wrest the state from the political tin gods domiciled in Anambra. Governor Obiano emerges Silverbird Man of the Year, 2016. The Governor of Anambra State, Willie Obiano has emerged the Silverbird Man of the Year, 2016. Governor Obiano, who got the highest number of votes among other four nominees, shortlisted for the prestigious award, for prudent management of resources and embarking on massive infrastructural development in the state. Buhari means Well to Develop South East More Than Any Past Leader___Hon. 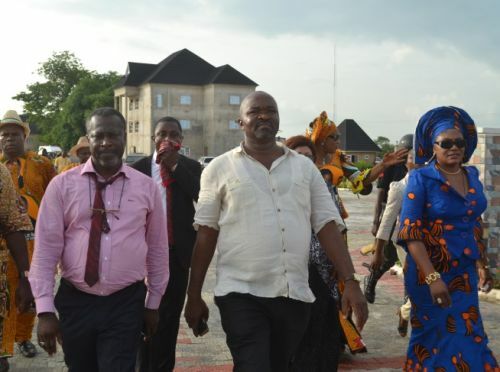 Members representing Anambra East and West in the Federal House of Representatives, Dr. Tony Nwoye has urged people of the south eastern part of Nigeria to abstain from the idea of playing politics with sentiment. He said Leaders should be judged by their works not minding the political zones it represent, only if his programme of governance have direct bearing on the lives of people in that particular zone.